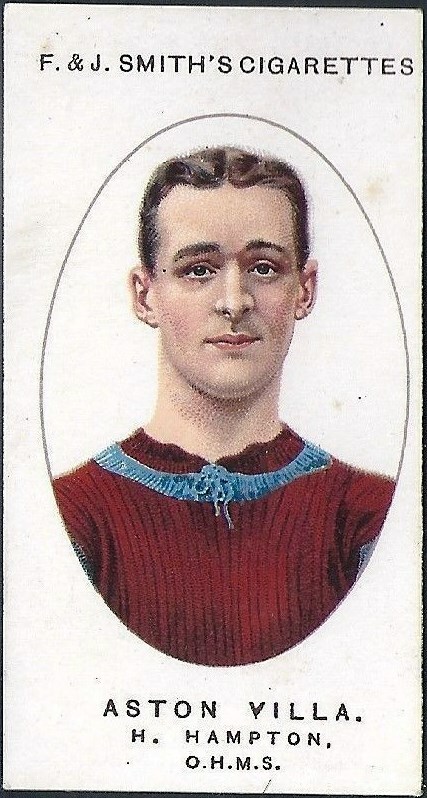 War stopped regular football in England, and for related reasons, cigarette cards were rare during this period. 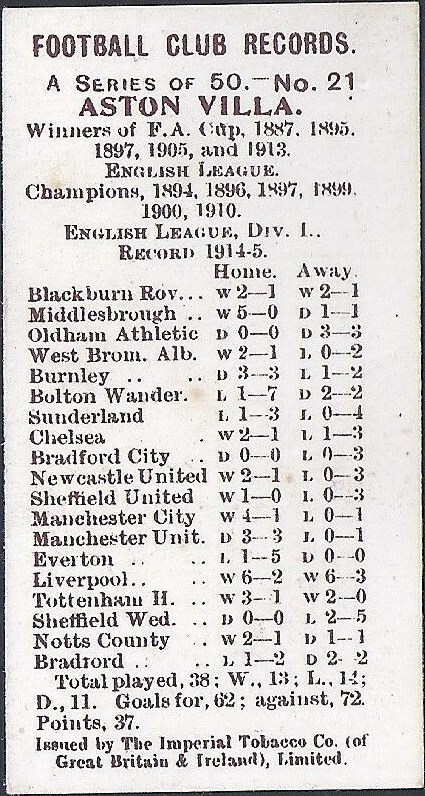 On the field, Villa only played a succession of challenge matches against West Brom (who generally got the better of us) until early 1919, when a modest local league came about, a pre-cursor to the resumption of regular football. When normal football resumed in August, Villa would soon be back among the honours. Possibly issued over several years to 1918; a second set appeared in 1922.